This morning I wrote about ignorance in Double Edged Swords. What do I do about my own ignorance? I try not to ignore it. Although I could have fun with the concept of ignoring ignorance. My ignorance is infinite and growing. The stuff that I do not know is growing more quickly than I can possibly learn new things. Then, there are all of the things I forget. Clearly, this is a losing battle. I should just give up, right? This is not a question that will help me to learn what is true. While the answer does fall into the category of true/false, what is really being asked is, How much ignorance can I maintain, while obtaining a passing score on the test? This question is likely to come from someone satisfied with a response of, Because I said so, as long as it means that he/she does not have to do more work. If that answer does mean more work, it is likely that there will be complaints about the answer. This response is likely to come from someone who can be described as blissfully ignorant. Someone who would argue vehemently about being called ignorant, but would not do anything to avoid actually being ignorant. There is a limited amount of information that I can learn in any day. I can read, talk with people, learn by doing (for example, patient care situations can teach me about different responses to illnesses/injuries and to treatments), I can think about something that is complicated and hope to develop a better understanding of the subject, I can ask questions about things that I do not understand or I can ask questions to improve my understanding of something (this may convince me that I really do not understand something that I thought I did understand), et cetera. There are many things I can do. Sometimes, the best thing I can do is to take a break and just relax. One thing that I should not do is accept an answer that does not make sense. If the answer does not appear to make sense, then that may be an indication that I do not understand what I am trying to understand. Because that is the way it works, is not understanding and is not even close to a good explanation. There are plenty of things that I do not understand. That is OK. The important thing is to keep learning, keep evaluating what I am learning, and to keep trying to improve my understanding. This is why I question so much of what we do in EMS. If I do not ask questions, I do not learn. If the answers do not make sense, I need to figure out if it is because I do not yet understand, or because the answer does not make sense, or something else. than to understand something false. This is one of the biggest problems we have in EMS. So much of what we claim to know/understand is completely ridiculous just not true. Rather than eliminate treatments that are based on ignorance - treatments that are based on understanding something false - we come up with excuses. There is no good excuse for defending willful ignorance. Willful ignorance harms our patients. We need to stop justifying this abuse of patients. We need to keep asking the questions about patient care that make people uncomfortable. We need to keep improving assessment, treatment, and judgment. Most of what I learned in paramedic school is wrong. I can deny that statement, I can defend that statement, or I can admit that I have a lot of ignorance to correct. How can I justify how I treat patients, if I do not keep trying to learn what is best for patients? Learning is constant change. Most of what I learned in paramedic school depends on understanding something false. Our patients deserve better than that. A post at Paramedicine 101, by Medic999, raises some important questions. Chronicles of EMS - A double edged sword? This is what I think addresses the most important part of the way we do things and why we do them differently in different places. Before all of this crazy show started, I lived and practiced in my own little bubble. I used to naively think that we were the best at what we can do. That is the human thing to do, to assume that our leaders are making the right choices. I take the opposite approach. I want our leaders to prove that what they are doing is good for patients. Not that their way is the best way, but that their way can be demonstrated to be good for patients. Most of what we do in EMS fails that test. Why should we continue to use these experimental treatments? Why should we continue to we continue to be guided by ignorance? Medic999 points out that he was unaware of some possible improvements to patient care. Now he wonders why his protocols do not include treatments like therapeutic hypothermia. We often will dismiss something because it is a foreign idea. If you want to have a political idea ridiculed, one of the quickest ways is to suggest that it came from France, except if you are in France. As if the origin of an idea has anything to do with the quality of the idea. There is nobody so perfect that he/she never produces a bad idea. Conversely, we should not assume that there is such a perfect fool, that he/she never produces a good idea. To assume that the origin of an idea is more important than the idea, is itself a bad idea. Unfortunately, Not originated here means not used here is EMS dogma in many places. We come up with excuses to avoid changing things. We act as if our patients will be better served by avoiding improvements in EMS care. If we are not here to provide the best care to our patients, shouldn't our patients be protected from us? One objection that I repeatedly hear from EMS traditionalists is that, We have to be able to say that we did everything we could for the patient. As long as the idea originated here! As long as we don't have to change the way we do things! As long as we don't have to sit in a classroom, or read, or do anything else that would be considered learning! As long as the patient does not expect us to provide excellent patient care! As long as we get to spend more time stroking our egos than we spend on improving patient care! Chronicles of EMS is a double edged sword. Through Chronicles of EMS, Medic999 has more knowledge about what EMS does in other places. Now he is less satisfied with the way things are done where he works. His satisfaction level has decreased because his knowledge level has increased. This is where the term ignorance is bliss comes from. The more we know, the less satisfied we are with traditional solutions. But this is not about satisfaction. The decrease in satisfaction is only due to looking at things the wrong way. With more knowledge we have the ability to make improvements that make things better for patients. When we learn that most patients flown to trauma centers did not benefit from being flown, we realize that we are contributing to the excessive death rate among flight crews when we call for more flights, which leads to more helicopters, which also leads to a greater dilution of experience for flight crews. Tradition tells us to fly patients based on mechanism of injury. This allows the blissfully ignorant EMS personnel to think that they snatched the patient from the jaws of death. When we learn that by rushing to perform ALS procedures during CPR, we have been neglecting the quality of chest compressions. When we improve the quality of chest compressions, we triple the survival rate - the real survival rate, not the misleading and short term return of a drug induced pulse. This is the first improvement in survival to discharge. This only came by discarding the traditional way of doing things. 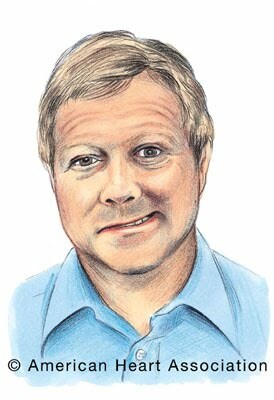 When we learn that intubation is performed horribly in many places, some of us work to improve our intubation skill, some move to alternative airways much more quickly, some do both, while traditionalists just claim that it is more important for them to intubate, than to provide competent airway management. Ignorance can be bliss. Tradition can be bliss. Both can also be deadly for our patients. Knowledge is a double edged sword, but it is much better to provide excellent patient care than to hide behind That's the way we've always done things! Medic999 is not suggesting that blissful ignorance is better. He is pointing out that the more he knows, the more problems he becomes aware of. This is not a bad thing. If we are not aware of the problems, we will not correct the problems. If we do not correct the problems, our patients suffer. The more we know, the less satisfied we are with traditional solutions. Our goal should be the protection of our patients by the destruction of our traditions. Chronicles of EMS - A double edged sword? I mean look at what I can do? I can tell people that they don't need to go to hospital, I can organise for alternative care providers to come and see the patient at home instead of transporting them to the hospital. I can make autonomous decisions about what is best for my patients and have them agree with that treatment plan. Surely that is already EMS 2.0, right? Well yes, I would say that that part of my role is definitely part and parcel of whatJustin, Chris Kaiser and I hope to see develop from the Chronicles of EMS and EMS 2.0. However, what I am learning and what I am finding more and more difficult to accept is the fact that in other ways, the UK ambulance services are far behind our brothers and sisters in EMS across the great pond. That's never been a problems for me before because I have never had the awareness that I have now from spending so much time in the US and talking so much to operational staff, managers, Chiefs and industry professionals. More hands on scene - that has always been a role I would like to see our colleagues in the UK fire service take on. If not, then even getting more ambulance responses on scene would be a benefit. One crew, 2 members of staff, no matter how well trained cannot perform continuous compression CPR on a patient from arrival on scene until handover at hospital, it is impossibility. As much as I can see flaws in a Fire Based EMS model at times, the one thing I saw which has obvious benefits is the amount of hands on a patient when necessary. There is no point in me looking for someone to swap in for some compressions when I am in the back of an ambulance alone, and if we can't have extra hands then why not look at equipment that can help us. Please don't get me wrong, I'm not saying that all of these things will bring real benefit to patient care (well, actually I guess I am), but why does it take so long for them to make their way over here? Uk pre-hospital care isn't the yard stick for all other EMS systems to be judged against, far from it, but maybe this just goes to show the value that The Chronicles of EMS and the EMS 2.0 movement can have.....bringing new thoughts and ideas to services which feel that they may be doing things the best way they can already. A recent study looks at The association between emergency medical services staffing patterns (the number of paramedics dispatched on an ambulance) and out-of-hospital cardiac arrest survival. They make some interesting observations. We tested the hypothesis that two or more paramedics at the scene of OHCA would be correlated with a higher rate of survival to hospital discharge. Since there were at least 2 paramedics on scene, they really compared the presence of 2 medics with the presence of 3 medics and with the presence of more than 3 medics. OHCA is Out-of-Hospital Cardiac Arrest. Paramedic treatment of cardiac arrest is provided by protocol and direct medical oversight. An interesting interpretation of the word direct. A medical command physician is available by phone or radio for consultation/orders. This is historically the way direct medical oversight has been interpreted, but it requires some flexibility in the interpretation of the meaning of direct. 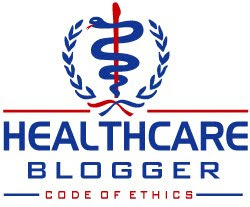 The word oversight requires similar flexibility, since the physician depends entirely on what the medic says, except for the medical command physicians who perversely just say no to everything. Cardiac arrests resulting from a drug overdose, suicide, drowning, hypoxia, exsanguination, stroke, or trauma were excluded from the study. Also excluded were cases in which no crew configuration or responding unit information was available, cases in which no resuscitation effort was attempted, and cases in which no time data were available. It is reasonable to exclude some of these causes, since they are not standard medical cardiac arrests and do not contribute significantly to resuscitation statistics. The intent of the study seems to be the effect of the number of medics on standard cardiac arrest. Trauma is reasonable to exclude, since resuscitation from traumatic arrest is, for all practical purposes, zero percent. Movies and TV suggest otherwise, but there is nothing about chest compressions that reverses blood loss, TBI (Traumatic Brain Injury), pneumothorax, cardiac tamponade, or other traumatic causes of sudden death. On the other hand, there are some causes of cardiac arrest that do respond to chest compressions, such as commotio cordis,  or lightning strike, that might appear to fall into the trauma category. Cardiac arrest due to stroke may have resuscitation outcomes as dismal as trauma. Why exclude cardiac arrest due to hypoxia? Are they looking only at airway obstruction as a cause of hypoxia? Does this include anaphylaxis or asthma? What about CHF (Congestive Heart Failure), which could be categorized as hypoxic or as cardiac? These are questions that were not addressed. There is no explanation for any of these exclusions anywhere in the paper. Are these excluded because the authors consider resuscitation to be so unlikely that they would only contribute a more zeros to the data? If a paramedic responded as part of the ﬁrst response unit’s crew, the paramedic was not counted as being part of the crew conﬁguration. The independent variable was categorized solely on the number of paramedics present in the responding ALS unit crew. Milwaukee County EMS operates with a minimum of two paramedics on ALS ambulances. During the study period, there were no cases treated by one paramedic. In other words, although we are looking at whether more medics lead to better outcomes, we will set aside cases where the medics are first responders, unless those first responders are responding on an ambulance. Interesting, but it is difficult to tell if this would have any influence, since no numbers are reported. If medic first responders are rare, it probably will not have any effect on outcomes. Not having data, we do not know if it is rare. If medic first responders are common, this should not be ignored as a variable. It might be nice to evaluate the effect of paramedic first responders. Even though there does not appear to be any benefit from having paramedics treating cardiac arrests, as first responders or otherwise, some systems are adopting the practice of having every responder be a paramedic. These systems seem to encourage the belief that, even though paramedic treatments do not improve outcomes, the sight a lot of paramedics on scene is more important than anything that might actually improve outcomes. There is no need to address things that matter, when we can put on an impressive show, unless survival is important. Neurologic status at discharge was not available. Too bad. That could be useful information to have. There were sufficient data to analyze 10,057 (98%)cases. FIGURE 2. Frequencies of cardiac arrest outcome by year in Milwaukee County. ROSC = Return Of Spontaneous Circulation. I added the red circles and green squares to make it easier to identify the lines. Nothing else was changed about this chart. The most interesting thing that I notice is that increases in one of the surrogate end points (ROSC) seems to indicate drops in the end point that matters - survival to discharge. While they did not have access to the neurological status at discharge, this information seems to contradict what everyone claims is important about resuscitation - If we don't have ROSC, we cannot improve survival to discharge. In the above chart, as ROSC increases, survival to discharge decreases. Is this statistically significant? I don't know, but it appears to be pretty consistent. The numbers are not provided by years, but the trend can be determined from the chart. Below, I list the the changes from year to year in ROSC (Return Of Spontaneous Circulation) and in Survival (survival to discharge from the hospital). ⇓ = year to year decrease. ⇑ = increase. ⇔ = no change. More = more. I need to point out that this study was not designed to examine any connection between ROSC and survival to discharge. The yearly data are not included, so I am only looking at the direction of change of the bars connecting one year to the next. Out of 12 years, the change in percentage of ROSC is the same as the change in percentage of survival only 5 times. Sometimes these divergences are dramatic. Almost every big change in ROSC had an opposite change in survival. As percentage of ROSC improves, percentage of survival seems to decrease. Maybe we need to stop obsessing about improving ROSC and just work on the more complicated problem of improving long term survival, which is all that really matters. it appears that even though there was a medication change in the treatment protocol, changes to the American Heart Association guidelines, advances in abilities, training, equipment, CPR performance, and variation in hospital care, survival to hospital discharge remained stable during the study period. This may indicate that we have not yet identified the factors that are crucial to improving survival and that more research is needed to find the ideal treatment for cardiac arrest. Contrariwise, it may indicate that we have already found the most effective paramedic/ALS (Advanced Life Support) treatment. We are just unwilling to accept it, because we cannot believe it is that simple. Excellent continuous compression CPR interrupted only by rapid defibrillation. We do not need paramedics for this. Therefore the number of paramedics on scene may only lead to interference with effective treatment. It is important to note that, as is shown in Table 1, crews with two paramedics treated fewer cardiac arrest cases with an initial rhythm of ventricular fibrillation or pulseless ventricular tachycardia than crews with three or more paramedics. Yet the unadjusted and adjusted odds ratios demonstrated that two paramedics conferred a survival advantage. This seems counterintuitive and may indicate an even stronger association between crew size and survival. If there is a bias in the data, it is likely one that hides the magnitude of the harm to patients from more paramedics. The Milwaukee County EMS system operates with a minimum of two paramedics on ALS ambulances. During the study period, no cases were treated by one paramedic. A single paramedic’s inﬂuence on outcome was not able to be evaluated. The data do appear to be stating that the more paramedics on scene, the less likelihood that the cardiac arrest patient will leave the hospital alive. The number of paramedics does not appear to interfere with ROSC, only with long term meaningful outcome. The studies of ALS interventions keep pointing out the increased ROSC with ALS interventions. Unfortunately, the surrogate endpoint of ROSC does not appear to lead to improved survival to discharge. Standard cardiac arrest treatment has led to more of an emphasis on continuous compressions and defibrillation. Standard cardiac arrest treatment still includes epinephrine, amiodarone, atropine, intubation, and intravenous access - treatments that have repeatedly failed to show improved survival to discharge. By supported by strong evidence, they mean that there is not any evidence of improved survival to discharge with drugs, IVs, endotracheal tubes - anything other than good continuous compressions and defibrillation. Maybe this study means that the more people capable of performing less-than-helpful treatments, the more likely that less-than-helpful treatments will be given. Perhaps, with the next revision of the cardiac arrest guidelines, we will make the ethical decision to limit treatments to those that have been shown to improve survival, rather than subjecting everyone to these treatments that have not been shown to improve survival. ^ 1 The association between emergency medical services staffing patterns and out-of-hospital cardiac arrest survival. Link MS, Wang PJ, Pandian NG, Bharati S, Udelson JE, Lee MY, Vecchiotti MA, VanderBrink BA, Mirra G, Maron BJ, Estes NA 3rd. N Engl J Med. 1998 Jun 18;338(25):1805-11. ^ 3 Protecting our children from the consequences of chest blows on the playing field: a time for science over marketing. Link MS, Bir C, Dau N, Madias C, Estes NA 3rd, Maron BJ. Pediatrics. 2008 Aug;122(2):437-9. No abstract available. Stroke care happens to be very near and dear to my heart and was the initial reason that I sought a career in EMS. Watching a person have a stroke or CVA (cerebral vascular accident), has to be one of the worst experiences. These patient's are very likely going to live a very difficult life after having a stroke. Unfortunately, there is very little that we can do in the prehospital environment for these patients. There are two main types of strokes. A "clot" or a "bleed". A clot refers to what is known as an ischemic stroke. 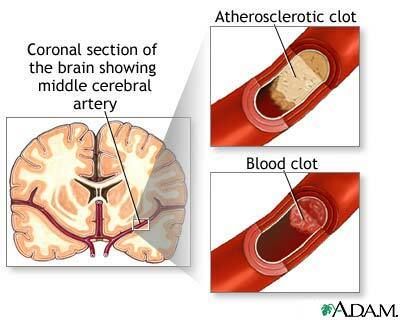 This occurs due to an occlusion of a cerebral artery by a thrombus or embolus--a clot. The portion of the brain distal to or after the occlusion becomes hypoxic or ischemic. This means that there is very little or no oxygen reaching the tissues of the brain. This will cause a compromise to whatever part of the body is controlled by this ischemic brain tissue. Ischemic strokes are generally less lethal, and have a better response to treatment, if performed early enough. 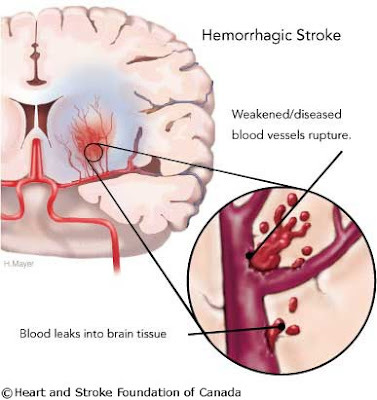 A bleed refers to what is clinically known as a hemorrhagic stroke. As it's nickname implies, a bleed involves bleeding. Usually pre-cursed by hypertension, an aneurism or weakening of a cerebral artery is formed and then ruptured. This causes ischemia distal to the rupture. In addition, a build up of intracranial pressure may occur. This may lead to further compromise by way of herniation. If the brainstem herniates, airway and circulatory compromise are likely to follow. These types of strokes have a higher rate of mortality and worse morbidity. Note: A transient ischemic attack or TIA is what is known as a "mini stroke", and is caused by a temporary blockage, resulting in temporary symptoms of stroke. Frequent TIAs increase the likelihood off an ischemic stroke. 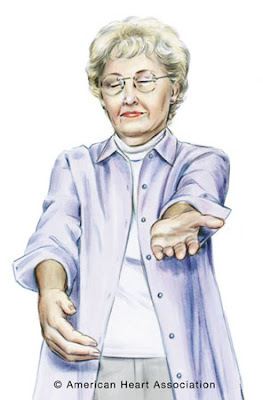 If you are unsure if the patient is having a TIA, treat as a stroke. Currently, CVA treatment is surrounded around early recognition and rapid transport. The most common treatments to improve patient outcomes are specific to ischemic strokes. There is a three hour time window for thrombolytic therapy and a large list of contraindications that go with it. There is a five hour time window for comprehensive stroke care. Neuro-surgeons can actually go in and retrieve the clot from an occluded artery. These time windows give EMS personnel a very important job. Recognize the symptoms and transport. There are so many possible symptoms of stroke, and only few are highly specific to an actual CVA. The hospitals use an additional number of references to make their decisions. Induced Hypothermia - NEED MORE RESEARCH. There is some very promising stuff out there, and it only makes sense that if hypothermia works for the post-arrest hypoxic brain, why not the stroke brain? Below is from Critical Care Medicine, published in 2009. Hypothermia is considered nature's "gold standard" for neuroprotection, and its efficacy for improving outcome in patients with hypoxic-ischemic brain injury as a result of cardiac arrest is well-established. Hypothermia reduces brain edema and intracranial pressure in patients with traumatic brain injury. By contrast, only a few small pilot studies have evaluated hypothermia as a treatment for acute ischemic stroke, and no controlled trials of hypothermia for hemorrhagic stroke have been performed. Logistic challenges present an important barrier to the widespread application of hypothermia for stroke, most importantly the need for high-quality critical care to start immediately in the emergency department. Rapid induction of hypothermia within 3 to 6 hrs of onset has been hampered by slow cooling rates, but is feasible. Delayed cooling for the treatment of cytotoxic brain edema does not provide definitive or lasting treatment for intracranial mass effect, and should not be used as an alternative to hemicraniectomy. Sustained fever control is feasible in patients with intracerebral and subarachnoid hemorrhage, but has yet to be tested in a phase III study. Important observations from studies investigating the use of hypothermia for stroke to date include the necessity for proactive antishivering therapy for successful cooling, the importance of slow controlled rewarming to avoid rebound brain edema, and the high risk for infectious and cardiovascular complications in this patient population. More research is clearly needed to bring us closer to the successful application of hypothermia in the treatment for stroke. Paramedicine 101 is now on Facebook and Twitter @Paramedicine101. When is a refusal really a refusal? One of my fellow EMS Bloggers, MedicSK from `EMS in the new Decade’ recently put a post up which has initially struck my ‘getting on a soap box’ bone, then has made the grey matter work a little over the last day. I initially commented on his post, but decided that the follow up was going to be too long and deserved a post all to itself. In his post, MedicSK asked questions about patients refusing treatment and looked at two things in particular. The fact that determining that someone being conscious, alert and orientated is the be all and end all of ‘accepting’ a patient’s refusal of treatment. Go and read his post first, then come back and let’s talk about this further. Great, right then off we go. I stated that the true amount of refusals are significantly less, probably somewhere in the region of <5%. In general people phone 999 or 911 because they want our help. The refusals are usually from people who did not make the call themselves but instead it came from a ‘3rd party caller’ who thought they were doing the right thing. That’s all fine and good, but my soap box moment comes with the proportion of ‘refusals’ that are actually nothing of the sort. These can be split into two sorts. Medic: "Do you want to go to the hospital?" Patient: "No, I do not." Medic: "That’s some pretty good damage to the front end of your car there. You could be hurt a lot worse than you realize. Are you sure?" Patient: "Yes, I'm sure I do not want to go to the hospital." Medic: "Okay, well if you aren’t going to go I need you to sign this piece of paper. Before I leave, are you sure you don’t want to go?" There is some room for a Medic to give advice to a patient, but that door does not open up until after the PATIENT decides that they do not want to go to the hospital. Is this a refusal of treatment? For someone to consent to treatment, there needs to be an informed decision. Likewise, if someone is refusing treatment, there needs to be an informed refusal. They need to be made aware of the risks of refusal in no uncertain terms, and in many cases this can be done fairly bluntly if you really want someone to go to hospital. Now obviously, the language used depends on the person you are talking too. I wouldn’t dream of speaking like this to a sweet elderly lady who is afraid of going to hospital In case she doesn’t get back home; but as you all know, there are times that you need to speak to patients in a manner that they will understand and respond too. Unfortunately, if we cannot prove that someone has lost the capacity to make an informed decision then we cannot do anything about it. We can only act in the best interests of the patient if we can show that they do not have capacity anymore. This brings its very own moral and ethical dilemma which I will discuss at another time. Suffice to say though, just because we disagree with a patients choice doesn’t mean that we can force them into going to hospital. If however, we can show a lack of capacity, then there are options open to ‘force’ them into receiving medical help. 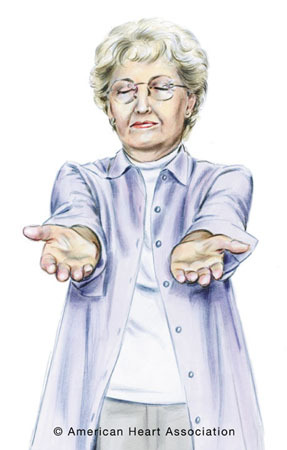 But, for example, where does this leave us with a patient who has not taken any alcohol. Is alert and orientated and her partner is concerned that she has taken an overdose (and she admits it) but she absolutely refuses to go to hospital? Between a rock and a hard place, that’s where. If she is in her own house, we cannot get the police to remove her to a place of safety, as she has to be in a public area for that, and we have no authority to remove her either. The only option is for her to sign the refusal form and for us to leave and inform the GP that she has refused and we remain concerned for her. It is then down to the GP to try and persuade her to go, or go down the route of sectioning her under the Mental Health Act. I have been in this situation a number of times and as frustrating as it is, sometimes we just have to go. The patient then signs the form, not knowing what they are signing and thinking that they are just signing something to say that they aren’t going to hospital. Absolutely not, and these are the ones that open medics up to complaints and litigation. I have issues with medics doing this, but I can understand why they do it. They do it because they can see that there is no real need for the patient to go to the hospital but they do not have any system in place or any support that will allow them to make that decision and advise the patient of what is the correct form of treatment for them to seek. If you only have two options, either transport or refusal, then there is no pathway open for the medic to do legitimately what they want to do i.e. the best for their patient. And here is the link to the ever present EMS 2.0 argument. As I have been speaking to my American colleagues, they all say how they would love to be able to tell patients that they don’t need to go to the ER or that there complaint or concern did not require an ambulance or any emergency response. However, they have been doing this for years already, only it has been just like I used to do before we were trained to ‘Respond not Convey’. I too used to use the old gem of telling the patient how long they would have to wait if they went to the hospital then getting them to sign the form, and to be honest some still do that now, even though we have better options and more transparent and honest options to take. Some still think that a patient signature on the refusal of treatment form is a ‘get out of jail free’ card, when in reality it is so much more risky than that, unless, the real discussion is documented and agreed upon. The patient’s condition is such that medical assessment is strongly advised and that the patient should be transferred to hospital by ambulance, but the patient has refused transfer and has the capacity to make that decision. The patient’s condition is such that medical assessment is strongly advised. However the patient has refused to undergo any such medical assessment. The patient’s condition is such that medical or social assessment is advisable and that a visit from the patients G.P or other appropriate healthcare professional should e sought. The patient requires some medical attention at a hospital or other treatment centre, but is able and willing to make their own way there. The patient requires assistance only and does not require medical attention. "I agree to the course of treatment described on this form and I am fully aware and understand the advice that I have received from the Ambulance Service. I have been made fully aware that should symptoms persist or a new symptom arise, I should seek medical attention without delay/or dial 999"
Before I get the form signed I also tell the patient that this is not a refusal of treatment form (unless they sign the top option), but instead it is based on my clinical decision and rests on my shoulders. Yes, it would be a lot easier to get them to sign the old version refusal of treatment box on the patient report form, but in the vast majority of cases, that would be manipulating the patient into making me feel better about persuading them not to go to hospital. So in answer to the question in the title, when is a refusal really a refusal? Unfortunately not that often at all. P.S Told you it was too long for a comment. What is "The Strip Tease"? Please provide your impressions of the ECG strip in the comments section.